If you have a dog fan on your gift list, we've got a fun gift idea for you. 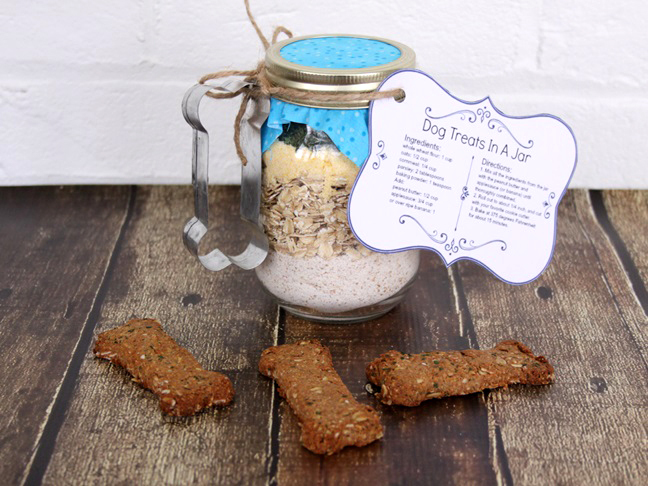 Make these layered dog biscuits in a jar and add the printable recipe and a dog bone cookie cutter to the outside—this will make a fun gift any dog owner could really appreciate. 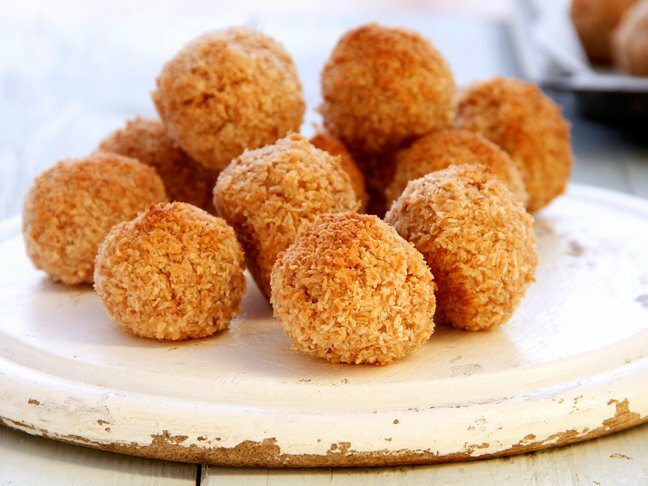 You can even make a few fresh biscuits, add in a jar of peanut butter, some applesauce, and the fresh biscuits, then put it all in a gift basket. They'll have fresh biscuits to give their dog now, and the mix to make up some more biscuits later! 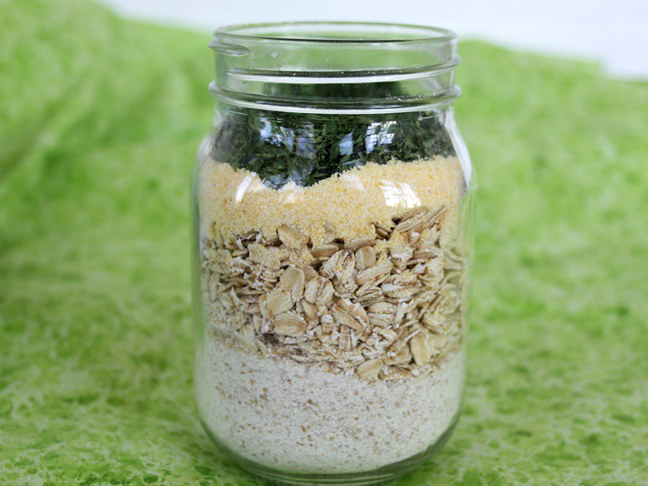 Step 1: Layer the flour, oats, cornmeal, and parsley in a pint Mason jar. Step 2: Cut a 4 inch by 4 inch square of fabric to place over the lid but under the ring of the jar. Step 3: Print out the recipe card and punch a hole in it. Step 4: For final assembly, place a 5 inch square of fabric over the lid but under the rim, and tighten the rim over the top. 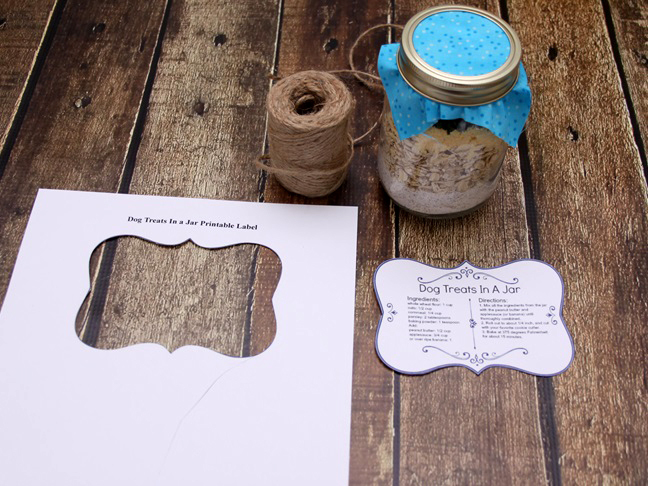 Tie the recipe card and the bone shaped cookie cutter to the side of the jar with a piece of twine or ribbon. 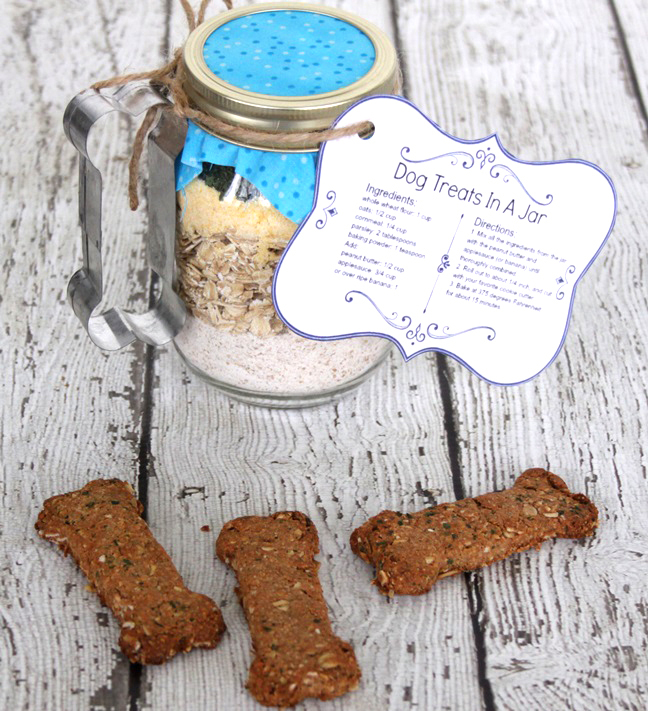 Step 5: Give your dog biscuits in a jar gift to a friend with the instructions on how to make the biscuits. 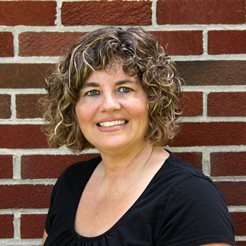 You can include the jar in a gift basket with your favorite peanut butter and applesauce if you want to give them everything they need to make the biscuits for their dog.